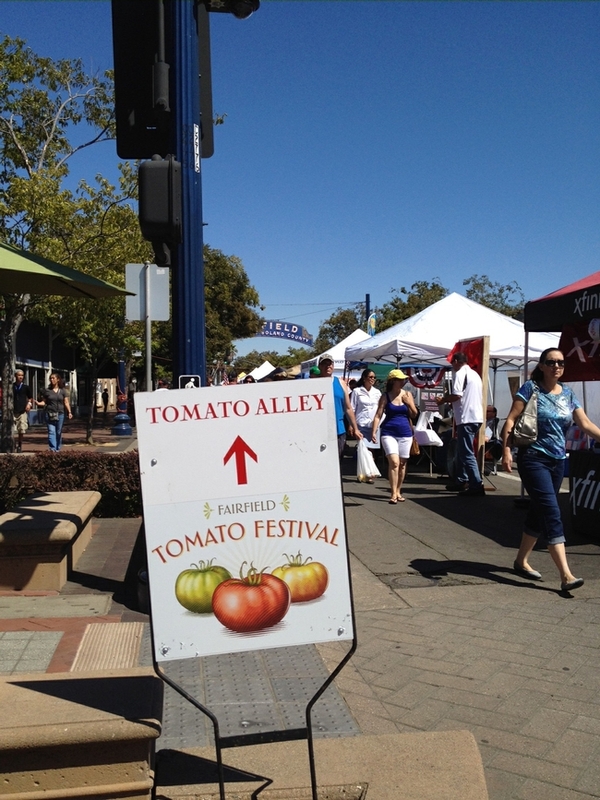 This past Sunday my family and I attended the Fairfield Tomato Festival that was held downtown. We go almost every year and enjoy fun times surrounding all things "tomato". At least the name of the festival would have you think it was about all things "tomato". Although the festival is named after tomatoes, to our disappointment it did not contain much about tomatoes at all. The topic has so much potential that it is sad that the organizer didn't have more than one tomato grower there. They could have hosted contests on almost anything from home made ketchup, barbeque sauce, salsa, tomato juice, bruschetta, pico de gallo to marinara sauce. Unfortunately there was little actual tomato content at the Tomato Festival which better resembled a peddler's fair or carnival. Tomatoes seemed to be an after-thought as there were flea market vendors as far as the eye could see and an entire block of carnival rides but only 1 tent of tomatoes from a single farm. From a gardener's perspective it was quite a disappointment that the festival was not more tomato-centric. Next year it should be renamed "A Summertime Street Fair" or they really should add more tomato related displays to a "Tomato Festival".